If we look at driving 20 years from now, we will see revolutionary, smart traffic technology, self-driving electric cars and winter tires made from bio-based materials. Although smart technology is used in the interaction between the environment, cars and tires, the tires will still be the car's only point of contact with the driving surface in 2036. This makes them an essential part of the car’s safety equipment. In the future, cars will be connected to a larger traffic system around them. The development of the Internet of Things can be seen in the interaction between cars and different systems. ‒ Cars can communicate with other cars, the Internet, cloud services or traffic systems and collect, relay and analyse data in real time, says Robert Hansson, Director of the Vehicle Dynamics & Active Safety Centre at Volvo Car Corporation. "Cars can communicate with other cars, the Internet, cloud services or traffic systems and collect, relay and analyse data in real time." According to Juha Pirhonen, Vice President of Research and Development at Nokian Tyres, the sensor technology in future tires will allow the driver to anticipate changes in the road surface and weather conditions 15–20 kilometres ahead. In practice, the cars’ computer systems could analyse this data faster and more comprehensively than the driver. By 2036, cars with drivers may be a rare sight, since self-driving cars take people from place to place. One of the factors that hinder the transfer to self-driving cars is the fact that people rely on their own driving more than on automatic control. ‒ Abandoning drivers requires a new way of thinking and investments into development in order to make the cars sufficiently reliable, says Doctor of Science, Professor Heikki Liimatainen from the Tampere University of Technology’s Transport Research Centre Verne. He has studied driving and mobility in the future. However, he believes that, somewhat surprisingly, one of the key contributors to the emergence of self-driving will be traffic safety. ‒ Understanding the contribution of human factors to traffic accidents may further the development that turns the driver into a passenger, Liimatainen continues. "Understanding the contribution of human factors to traffic accidents may further the development that turns the driver into a passenger." 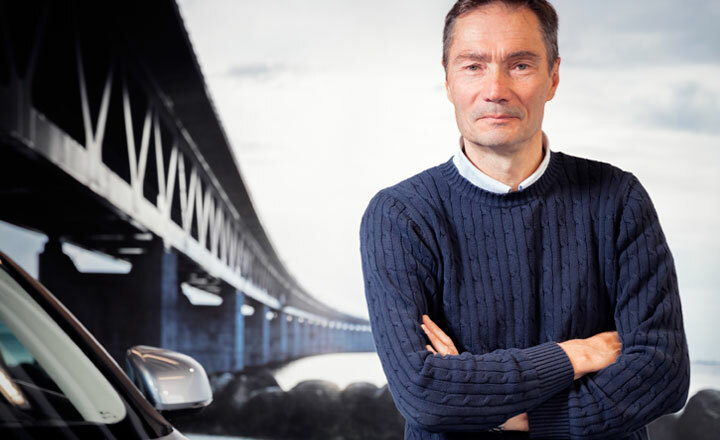 Director Robert Hansson from Volvo Car Corporation shares this view; in the long term, he believes that self-driving cars will contribute to safer driving. The cars of the future would be even more conscious of their environment and could optimise driving and route choices with safety in mind. Digitalisation is believed to develop mobility services in ways where car ownership will be joined by other, alternative ways of using cars. According to Heikki Liimatainen, the focus will shift to using a car for mobility instead of owning one. ‒ Different mobility apps will allow you to acquire a car when you need one and to compare the prices of the services. 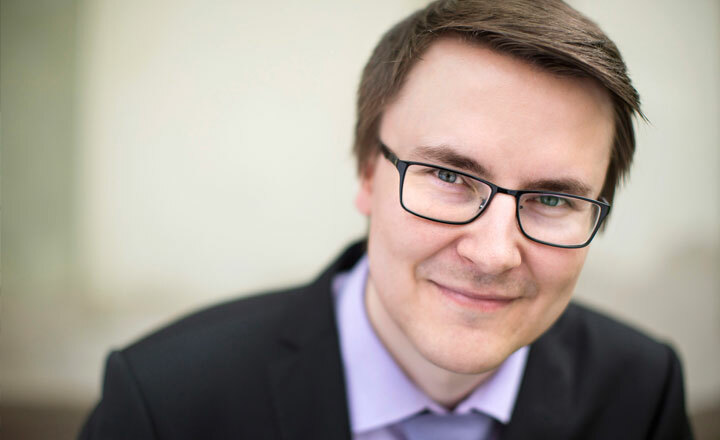 These mobility services will become the norm once they have reached critical mass, that is, a sufficient number of consumers have adopted them, Liimatainen describes. ‒ In urban areas, for example, you could have self-driving taxis that take people from door to door. In practice, they would not require drivers, Robert Hansson from Volvo Car Corporation continues. Robert Hansson envisions that, in the future, drivers of Volvo’s luxury vehicles can choose whether they want to enjoy the driving experience offered by the car themselves or let the car drive itself to the destination. ‒ Automatic steering signifies a paradigm shift in the design of the car’s interior. It allows people to use the travel time for other activities, such as streaming entertainment or simply relaxing, Hansson explains. Robert Hansson believes that, by 2036, the ecological footprint of cars will have reduced significantly, even though some challenges remain. – Electric cars will have won market share from combustion engines, even if the latter will have become more eco-friendly than they are at present. In an ideal situation, driving would result in zero accidents and zero emissions, he summarises. 2036 will mark the 100th anniversary of the first winter tire, the Nokian Hakkapeliitta. What kinds of tires will we be using in the future? Juha Pirhonen, Vice President of Research and Development for Nokian Tyres believes that sustainable development will be standard practice for tire manufacturing in twenty years, since it is already being actively used. ‒ More than 80% of a tire’s carbon footprint is generated during its use. We are, therefore, focusing especially on lowering our tires’ rolling resistance in order to reduce the carbon footprint. Low rolling resistance saves energy, thereby extending the range of electric cars, for example. ‒ Even now, we are actively working to reduce the rolling resistance of tires, but the popularisation of electric cars will require substantial development efforts targeted towards improving their range, Pirhonen continues. Climate change is expected to bring milder temperatures into the Northern hemisphere, and even Finland is getting used to winters with little snow and varying temperatures. According to Juha Pirhonen from Nokian Tyres, temperatures that fluctuate around the freezing point as well as large differences between the day and night temperatures will require excellent ice grip and wet grip from future winter tires. On the other hand, drivers also appreciate driving comfort, such as good handling and low noise levels. ‒ In tires, we value safety characteristics, such as braking efficiency and grip, as well as features that reduce fuel consumption and noise. Similarly to all other parts used on our cars, we want our tires to meet very high ecological requirements, says Robert Hansson regarding the criteria applied by Volvo. What will our winter tires be like in 20 years? ‒ In the future, we could have eco-friendly tires that are made with completely bio-based materials and equipped with sensor technology. They could collect data that could then be used in networked, self-driving or robot assisted cars. By 2036, relentless product development will also have given rise to substantial innovations in the field of rolling resistance, says Juha Pirhonen, Vice President of Research and Development for Nokian Tyres. – Tires will still be an essential part of a car’s safety because, even with revolutionary intelligent technology, the tires are the car’s only contact point with the road, Pirhonen reminds us.